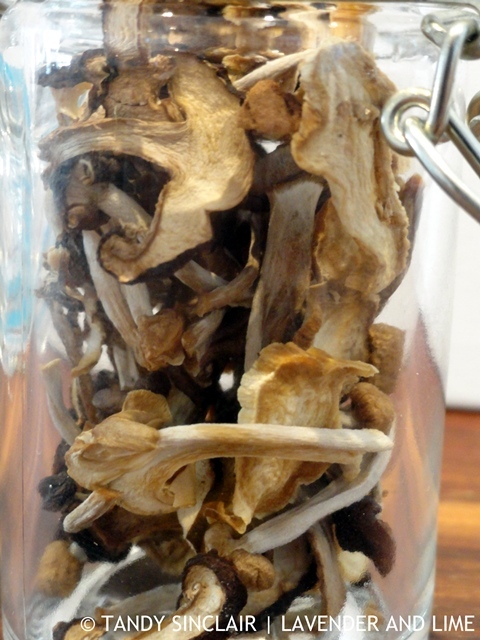 Making dried mushrooms at home is really quite simple. You can even buy pre-sliced mushrooms to make these, reducing your prep time. I dried exotic mushrooms to use for another recipe that I will share soon. On the 27th of November I placed a click and collect order with Clicks. This is the South African equivalent of the UK store Boots. Despite receiving an email to say that my order had been dispatched, it never arrived in store. Two weeks later I sent an email to track my order and as they could not find out what had happened, I was credited for it. I had ‘purchased’ items on special so lost out on the special. And I had a R50 voucher so dipped out on that as well. I was offered compensation for a new on-line order which I placed on the 30th of December. The order was dispatched on the 3rd of January, never to be seen again. It should have taken 1 – 3 working days to arrive at Clicks, but it still hasn’t. You can well imagine my frustration. Especially as I know how simple this system should be. In December I placed an order with Boots. A friend was in England and she offered to bring stuff back for me. We need 2 of the items I ordered before we leave next Friday. When I got to the check out page I was told that the order would be received by the 4th of January. I was really cutting it fine as Gill was leaving on that date. But trusting the system I placed my order. And it was delivered within 48 hours. This is not unusual for the United Kingdom and having to wait two days for something is to me quite reasonable. I also did not mind waiting to see how my dried mushrooms would turn out. I was amazed at how much weight was lost during the process. My 150g fresh yielded only 13g dried. What a brilliant idea! And I dry/dehydrate lots of things like tomatoes and jalapeños. I guess it’s because I’m not growing mushrooms, and never had an abundance of them. But still, thi s is something I should do! It just frustrates me endlessly, Tandy, that we have to put up with such sub-standard service in South Africa. Three times in the past six months I have ordered books to be delivered by courier from Amazon and each time the books have never arrived – they have just disappeared. Getting stuff from overseas can be a problem. I am waiting for an envelope that was posted in November! You always think of such clever ideas that I had never thought to do at home! 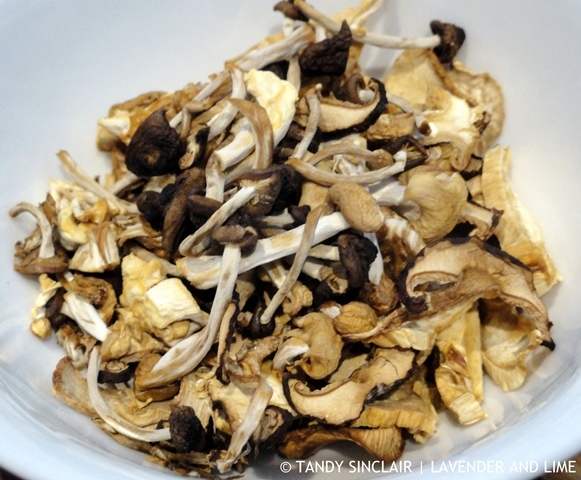 I love this dried mushroom recipe. I have never done this Tandy, I never even thought about it. Will definitely be trying this! I’ve never even thought to do this, but it’s SUCH a good idea!! Your dried mushrooms look fantastic! I confess that I’ve never considered doing this before. I love mushrooms in my yard because it’s an indication that your soil is happy and healthy although I’d never eat them! I’ve never thought to try drying my own mushrooms, great idea!